Today in our TY religion class we made St.Brigid's day crosses. We made the crosses out of rushes that our teacher had brought in for us. The crosses were difficult to make but we got the hang of it in the end! 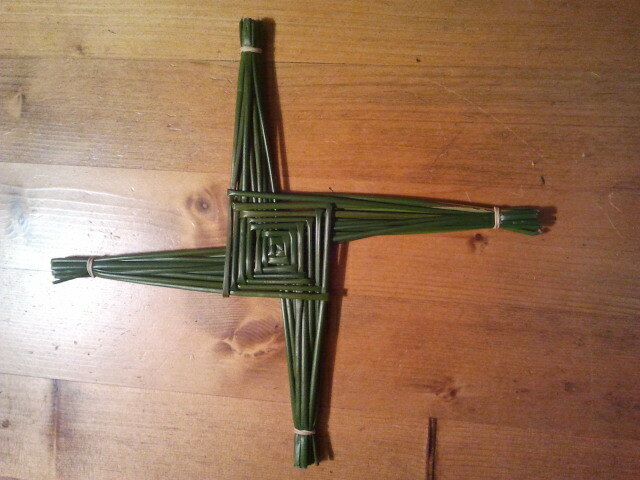 Repeat the process below to create your very own St.Brigid's cross with rushes! Here's a picture of the cross I made at school earlier!